The Hathaway campaign was ranked by Advertising Age as #22 in its “Top 100 Advertising Campaigns of the 20th Century”, and it went on to inspire numerous other brands over the years, including Marlboro, and its iconic Marlboro Man. Today the nature of brand story-telling may have evolved, and brand stories that were once merely written into the advertising may have now become part of the consumer’s larger brand experience, but story-telling has become more relevant than before in our increasingly complex market-place. And an entire mini-industry of brand story-tellers and consultancies has sprung up in the US, specialising in the art of articulating and narrating brand stories. Jonah Sachs’s recent book, Winning the Story Wars, seems to be an attempt to jump onto this story brandwagon. The author’s main credentials, ironically, are that he played a part in making The Story of Stuff, the anti-consumerist viral video that made the e-mail rounds some years ago. His book talks about how brand marketers are the myth-makers and story-tellers of today, how brands like Nike and Old Spice have created powerful stories around themselves, and how social media is making the art of story-telling more relevant than ever before. The book then goes on to discuss how story-telling can not only help build the brands of the future, but also help transform business and society — which, according to Sachs, can happen when we live out the stories we tell. But the problem is that Sachs looks at the subject not as a brand practitioner, but like a PhD student. And he writes like a PhD student, as well. As a result is the book is full of dense, theoretical fluff: open it at random and you’ll come upon passages like: “Myths tend to be extremely resilient, often persisting and evolving for millennia. But a myth gap arises when reality changes dramatically and our myths are not resilient enough to continue working in the face of that change.” Ho hum. The subject of brand story-telling, however, is a very relevant one for our times, and our market-place. For a more meaningful discussion of the subject, one probably needs to go back to Laurence Vincent's Legendary Brands: Unleashing the Power of Storytelling to Create a Winning Marketing Strategy, written about ten years ago. Vincent is a brand strategist, who used to work for a brand consulting firm owned by the Omnicom Group. He has worked on major brands like Coca-Cola, MasterCard, Southwest Airlines and Microsoft. And hence he obviously knows what he’s talking about. Vincent presents the idea of how a brand needs to interact with a consumer's own story. As he puts it, “It is how you activate the personal narrative that determines your ultimate connection to the customer.” He looks at brands like Harley Davidson, Absolut Vodka, Starbucks, Apple, Coke and Ben & Jerry’s ice-cream, and suggests that the reason they inspire such intense brand loyalty is because they tell a story that consumers are eager to adopt as their own. He examines the mythologies surrounding such brands, and goes on to urge us to think like story-tellers, developing narrative skills that will enable us to craft brand stories that will resonate with the consumer’s “sacred beliefs”, thereby drawing him/her into an enduring relationship. The book is an interesting exploration of storytelling as strategy, which takes us through the process of crafting a relevant narrative — from the creation of an initial “brand bible” to the creation of characters, plot, conflict and resolution. There are great opportunities for the telling of resonant brand stories in India today, and two obvious areas are the fashion industry and financial services industry. The pity is that while some of our best brand stories of the past were in the fashion space — Enterprise Nexus’s original, metrosexual version of Raymond’s ‘The Complete Man’ being just one of them — a quick survey of today’s fashion brands reveals just a desert of slick, sterile fashion photography, and very little beyond that. In a scenario like this, an engaging brand story could be an enormous competitive advantage. At the extreme opposite end of the spectrum, perhaps, is the opportunity for financial brands. One of the most memorable financial brand stories, for example, is McCann’s superbly crafted MasterCard brand story about those things it cannot buy — where each purchase raises the story’s tension, notch by notch, until it reaches its climax with that final, supremely unpurchasable pleasure: Priceless! Another great financial brand story was Barclay’s credit card’s creation of a bungling secret agent character (played by Rowan Atkinson, of Mr Bean fame) to demonstrate its advantages, through his various mishaps. It was a story so powerful that it was actually spun off into a movie: Rowan Atkinson’s hilarious spy spoof, Johnny English. And that, ultimately, is the secret of it all: a good story is an end in itself, tapping into a specific emotion and taking the consumer on some kind of journey of transformation. Whether it helps sell a product or not, the story must necessarily stand on its own. If the “story” is nothing more than a thinly disguised marketing message, you’re just fooling yourself. Of all the brand stories out there today, one of my favourite examples is Surf Excel’s game-changing “Daagh achhe hain”story. Interestingly, before it was recently mined by market research, the story had been lying there for years, waiting to be uncovered, in well-loved works of popular literature, such as Richmal Crompton’s William books (about her endearing eponymous little schoolboy rascal), or in the misadventures of Dennis the Menace. And there’s an important lesson in this for all brand marketers: we need to read a lot more fiction, for it is from fiction that we learn the dynamics of compelling story-telling — not to mention a wealth of sharply-etched human insights. Meanwhile, there are hundreds of great brand stories out there, just waiting to be discovered, in literature, ranging from R.K Narayan’s Malgudi tales to Amish Tripathi’s new Shiva Trilogy fantasies. Or, indeed, in Charles Schultz’s classic Peanuts cartoon strips. So go on, help yourself! “Healthy bhi ho, tasty bhi ho, change bhi ho, instant bhi ho, trendy bhi ho”… such are the pressures on the mother of today in the kitchen and on the dining table. All this is leading to the building of five kinds of pressures. The age old task of providing wholesome nourishment for the family continues, but with excessive and confusing media information on health and food, there is additional pressure to constantly think of what to add, delete, reduce. When it comes to children she has to nourish not only the body and mind but also the spirit – to cope with the big bad world of competition out there not to mention her own ambitions through her children. On the other hand, while mother’s food may be healthier, outside food is tastier. Homemade pakoras and bajjis are giving way to street food and fast food. Not to mention other cuisines from other parts of India. Which brings us to the third pressure, same food is boring. There is continuous need for new recipes not only to bring more happiness to her family but also as a means of enhancing her stature in their eyes. ”Mummy all-rounder hai” is something that warms her heart. Add to this her own conflict: while her self-worth depends on her ability to get compliments for her cooking, she doesn’t want to spend inordinate amounts of time in the kitchen. She resents that she is still in the kitchen when the others are relaxing and enjoying TV. Making new foods also means more items as most times the elders in the house prefer traditional foods that they are used to. And not to forget, while she is cook and provider, she also eats. She needs to manage her own struggles with temptations( the smell of melting cheese tempts her as much as it does her teenage children), the need to set an example, and even take care of herself. Finally, social pressures. As if keeping family palate needs were not enough, she needs stories to tell her social circle by making constant progress in her cooking journey. Which dishes can she put her own stamp on… a personal signature that makes it difficult for others to replicate? And how can she get trendier in what she serves her guests? 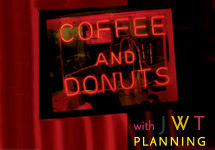 What then are the propositions that branded foods can use to appeal and find their way into the changing grocery list? 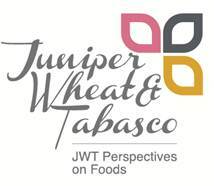 Juniper, Wheat and Tabasco, JWT’s study on foods identifies three fundamental drivers – Drive for Power, Need for Love and Care and Search for Pleasure – and 10 ensuing benefit spaces. Drive for Power. While Body Power – the world of refreshment and thirst quenching, stamina and energy is widely in use, Mind Power is relatively unmined. The psychological effects of food that you love, favourite food as part of preparation for crucial moments, food that can enhance optimism, soothe anger, comfort fear, build concentration, determination, and fuel the will to win are potential spaces. Brands can draw from Indian food psychology and theories of the effect that different foods can have on attitudes and behaviours. Social Power on the other hand - food and brands as show off, is driving new choices and upgradation as well. Even to consume health food or take a few healthy steps, is to be fashionable… “dahlia is desi, oats is videshi”. Power payoffs help her rationalize cost and benefit. Need for love and care. Dressing up difficult foods, hidden nutrition foods, compensation foods, incentive foods, message foods… food of course, is never just food. Disease –free health for the elders, brisk and preventive health for the working, growing health for the children, beautiful health for herself… even health is never just health. Love and Care payoffs help her negotiate the most important role food plays – that of managing relationships. Search for Pleasure. Brands need to cater to her overpowering need for creativity today. This takes many shapes. Creativity and health, creativity and taste, creativity and variety… Cornflakes becomes bhel puri, oats becomes uthappam, pasta becomes salad. With a bit of this and that, plain toast becomes an American sandwich. In this, the colourful aisles of supermarkets are her single biggest source of both knowledge and research and ideas. School tiffin boxes and parties follow, not to mention eateries of every kind, but while these build pressure, the supermarket aisle is her guide and solution provider. Creativity and pleasure payoffs help resolve her dilemmas between cost and convenience, health and taste. But as the college girl in the focus group said: “Now he has to find a way to my heart through my stomach”. Will the next generation of housewives really be less dependent on the belan as a control symbol? Will the tide ever really turn, and will a day come when packaged foods start talking to men, going beyond Sunday foods and the occasional waking-up-the-mother-with-a-surprise tray? ‘Every action has an equal and opposite reaction.’ Whether you attribute this statement to the philosophy of Karma or to Newton’s third law of motion, its truth is undeniable. And if you ever wanted definitive proof of this, start a conversation on Indian TV serials. It doesn’t matter on what side of the debate you happen to be, you are very likely to have some pretty strong feelings on the subject. I do too! Initially, I hated them. I only watched by force because they were all my brand’s consumers would like to talk about. Luckily I could get by through watching an episode every week or ten days. Unlike British and American TV, these serials are designed for women who are programmed to always put their needs last. So, fast-paced content would lose viewers who couldn’t watch every episode. At the time when Star Plus and Ekta Kapoor were just starting to discover their winning formula, feminists and basically anyone who wanted to watch “more intelligent” TV started to protest. Every complaint boiled down to one basic accusation – ‘promoting regressiveness’, binding women more strongly to roles and rituals that enslaved and exploited them. If this was true (and at the time I thought it might be), the question was – why were women so hooked? Two observations prompted me to question my stance. First, we were interviewing women in Bangalore who didn’t understand Hindi but were watching some of these serials. Putting together their experiences with other South Indian women, the researchers discovered that they were intrigued by the fashion shown in the serials. While traditional clothing was a clear preference, the serials allowed even the most conservative of women to experiment with lighter fabrics, better fitting and/or deeper cut blouses and more ‘modern’ jewelry designs or even temporary tattoos. Secondly, at the same time, media commentators started digging deeper into the popular characters. Just because Tulsi wore a sari Gujarati style and made dhoklas for the whole joint family didn’t mean she wasn’t also a revolutionary with definite opinions that she always took a stand on. She and the other women protagonists demonstrated how women could influence and challenge the family from within, without abandoning their crucial roles and responsibilities and definitely, without becoming the personification of evil. Indian women were finding inspiration for their own aspirations in the idealized reality of television. 1. A context that is safe, familiar and non-threatening. 2. They seem benign on the surface – there can be no serious objection to the content. 3. The archetypal ‘TV family’ celebrates Indian culture. 4. The characters are people that they very easily relate to. 5. The themes connect to every woman’s basic desire to be loved, cherished and understood by her family. 6. They present role models who seem like real women with their own flaws and personalities. 7. These women promote their causes from within and in support of their existing roles rather than in opposition. 8. The plots of the serials provide an opportunity to discuss relevant issues from the outside rather than through intense personal filters. 9. The serials both reflect and shape the emerging sensibilities of their viewers, for example the increasing sensual content. 10. Through the story progression, we see family and society show growing appreciation for each woman’s unique impact, making her earlier struggles seem worthwhile. Today this side of the debate has much more concrete evidence in the face of the ‘regressive’ criticism or perhaps, even because of it. From Ballika Vadhu to Parvarish to Ek Hazaaron Mein to Kya Hua Tera Vaada …the diversity in the women characters on TV today is encouraging. The truth about opposite reactions applies to India too. Everything you say about the country is true. And the opposite is true too. We worship goddesses for their feminine energy and we kill female infants for being, well, female. We hail daughters-in-law as Lakshmis and we harass and burn them for dowry. We claim women are the pride and honour of the family and yet they are molested, assaulted and raped with impunity. Indian women believe in adjusting within their constraints - our feminism is not breaking free of the shackles that bind us but about using those same shackles to our advantage and bringing about change drop by drop and not in a sudden wave that could potentially drown us. Within our powerlessness, we are discovering our great power. And we don’t need to step out of the house or outside conventional boundaries to understand this. We only have to reach for the remote and press a button.